BioTransformer is an open access software tool, and freely accessible web service for accurate, and comprehensive in silico metabolism prediction and metabolite identification. It consists of a Metabolism Prediction Tool (BMPT), and a Metabolite Identification Tool (BMIT). BioTransformer also assists scientists in metabolite identification, based on the metabolism prediction. The current version of the BioTransformer Rails application is 1.0.0.
the environmental microbial transformer (See Fig. 1). a reasoning engine that implements both generic and transformer-specific algorithms for metabolite prediction and selection. The BMPT machine learning system uses a set of random forest and ensemble prediction models for the prediction of CYP450 substrate selectivity, and for the Phase II filtering of molecules. BioTransformer’s Metabolite Identification Tool builds on the BMPT to identify specific metabolites using mass spectrometry (MS) data, namely accurate mass or chemical formula information. Fig. 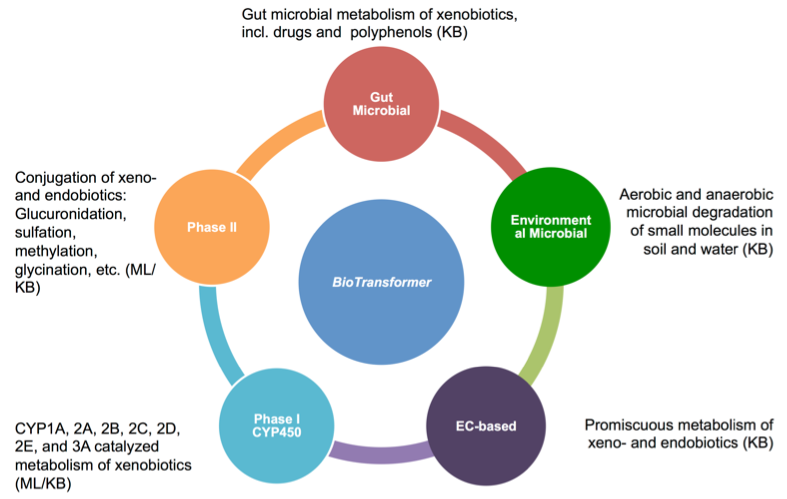 1 An overview of BioTransformer’s five metabolism prediction modules, the EC-based, CYP450, phase II, human gut microbial, and environmental biotransformer modules. A comprehensive evaluation of BioTransformer showed that it was able accurately predict human and human gut metabolism of a diverse set of compounds (See Fig. 2), ranging from endogenous molecules (e.g. glycerophospholipids) to xenobiotics (e.g. 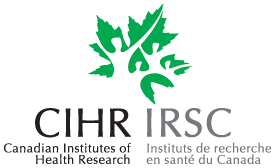 pharmaceuticals, pesticides, and other environmental contaminants). Moreover, it was able to outperform two state-of-the-art commercially available tools (Meteor Nexus and ADMET Predictor), with precision and recall values up to 7 times better than those obtained for Meteor Nexus or ADMET Predictor on the same sets of pharmaceuticals, pesticides, phytochemicals or endobiotics under similar or identical constraints. Furthermore BioTransformer was able to reproduce 100% of the transformations and metabolites predicted by the EAWAG Pathway Prediction system. Using mass spectrometry data obtained from a rat experimental study with epicatechin supplementation, BioTransformer was also able to correctly identify 39 previously reported epicatechin metabolites via its Metabolism Identification Tool, and suggest 28 potential metabolites, 17 of which matched nine monoisotopic masses for which no evidence of a previous report could be found (See Fig. 3). Fig. 2 Examples of human (non gut microbial) metabolites predicted by BioTransformer. 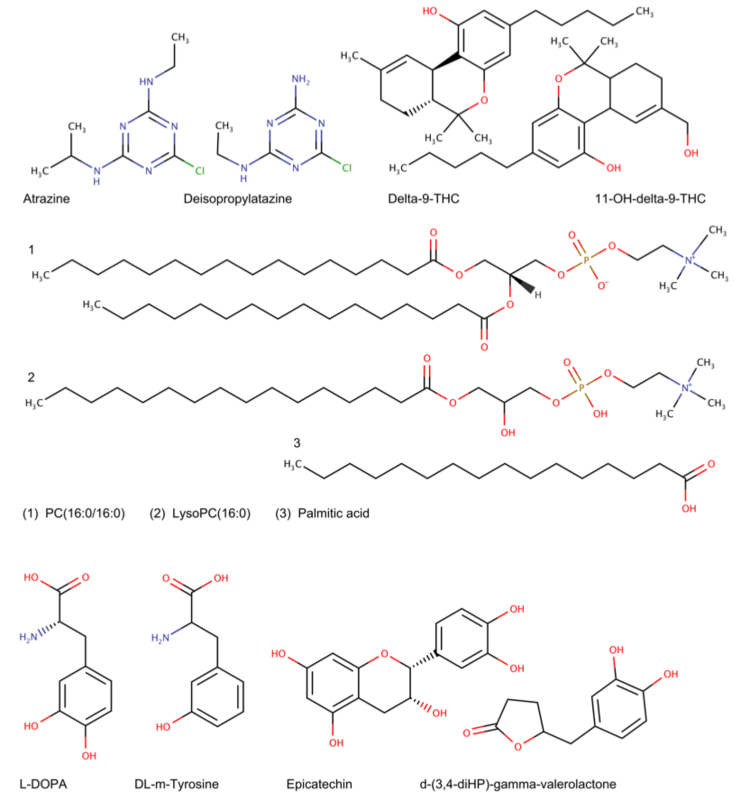 This figure illustrates the human hepatic metabolites of Atrazine, delta-9-Tetrahydrocannbinol (Delta-9-THC), and Phosphatidylcholine(16:0/16:0), as well as human gut microbial metabolites of L-DOPA and Epicatechin, correctly predicted by BioTransformer. Fig. 3 Identification of predicted metabolites of Epicatechin in humans (which are assumed to be nearly identical for rats). The figure illustrates: A) Metabolites correctly identified by BMIT, and corresponding to masses (in daltons) observed in our experimental study; B) Metabolites correctly identified by BMIT, and corresponding to masses observed exclusively in previous studies, and; C) A previously reported metabolite of epicatechin not identified by BMIT. (2R)-2-(3,4-diOH-phenyl)-5,7-diOH-2,4-DBP stands for (2R)‐2‐(3,4‐dihydroxyphenyl)‐5,7‐dihydroxy‐2,4‐dihydro‐1‐benzopyran‐3‐one.